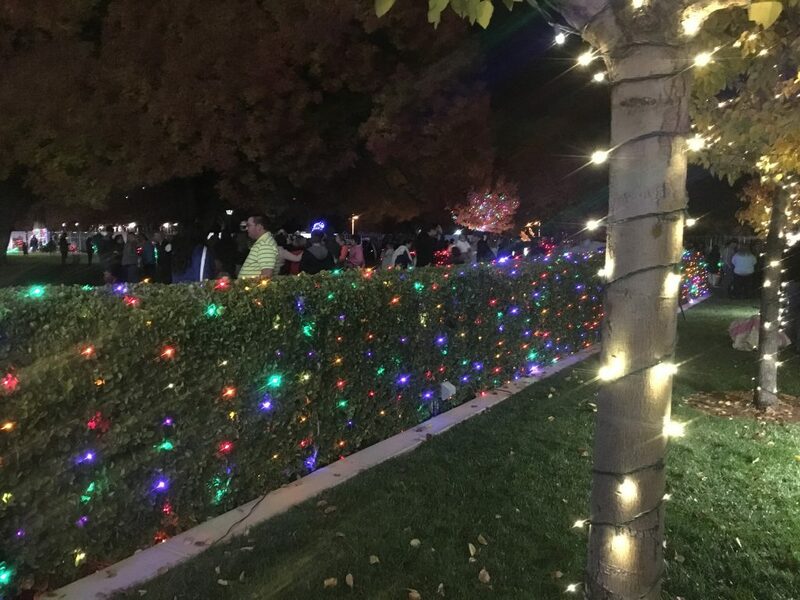 ST. GEORGE — Hundreds of people gathered on the grounds of the St. George temple of The Church of Jesus Christ of Latter-day Saints for the annual Christmas lighting ceremony Friday evening. 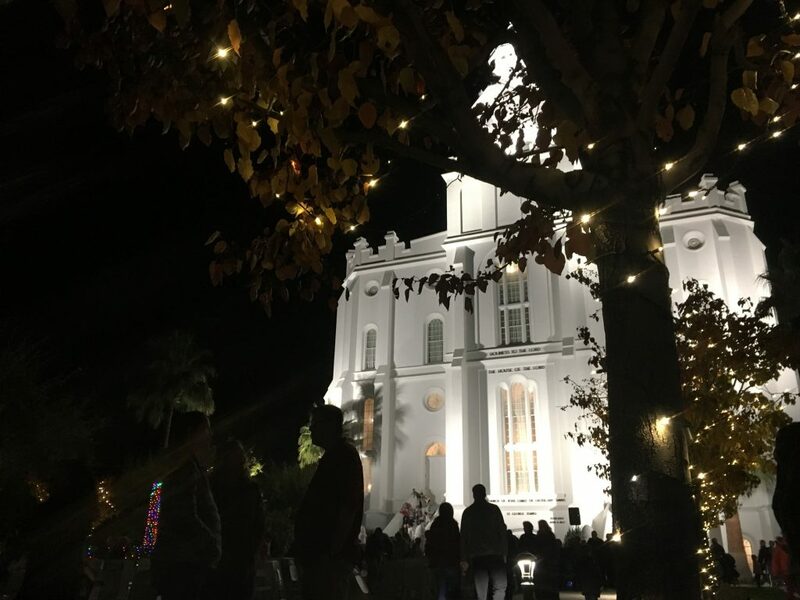 The brief religious ceremony ushered in the Christmas season with music and a short talk that reflected on the birth of Jesus Christ whom the Latter-day Saints revere as their savior. 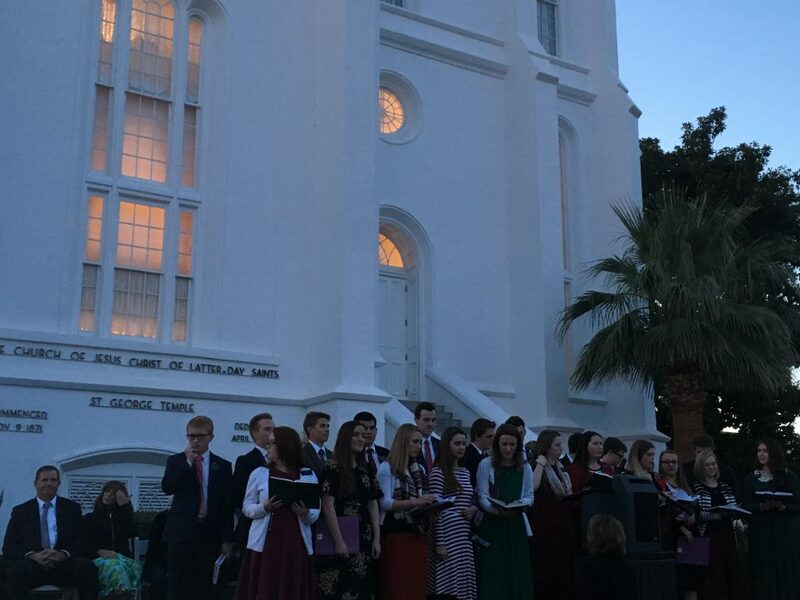 Musical selections were taken from the LDS hymn book and sung by a choir made up of Mormon missionaries serving their LDS missions in the area. The evening’s speaker was Steven R. Bangerter an area seventy of the LDS church. 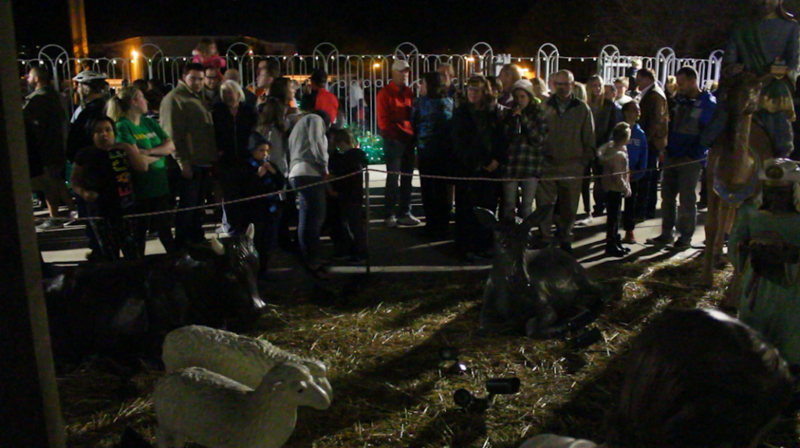 Bangerter said in his address that this is a “time of celebrating” the advent of the life of Jesus Christ on earth. 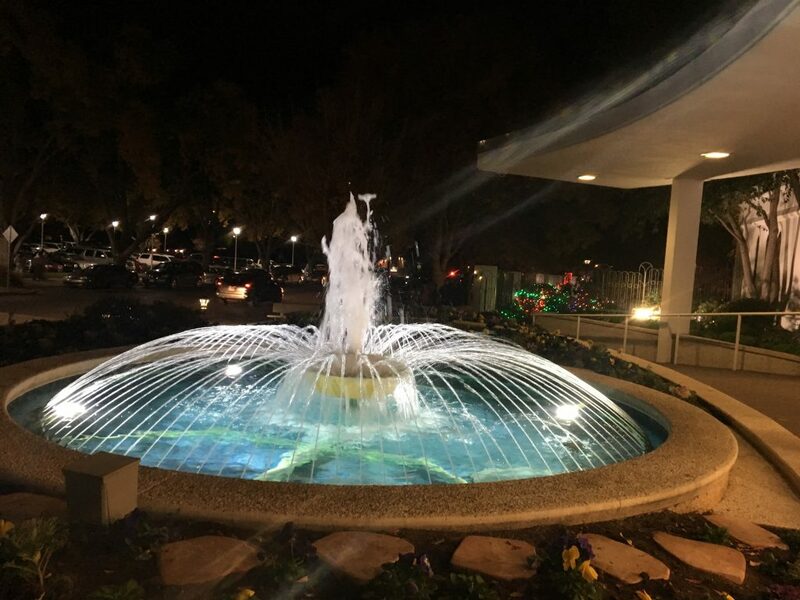 His short address touched on the history of Jesus Christ’s birth as told in the New Testament of the Bible and in the Book of Mormon, which the members of the LDS faith believe is another testament of the life of Jesus Christ. 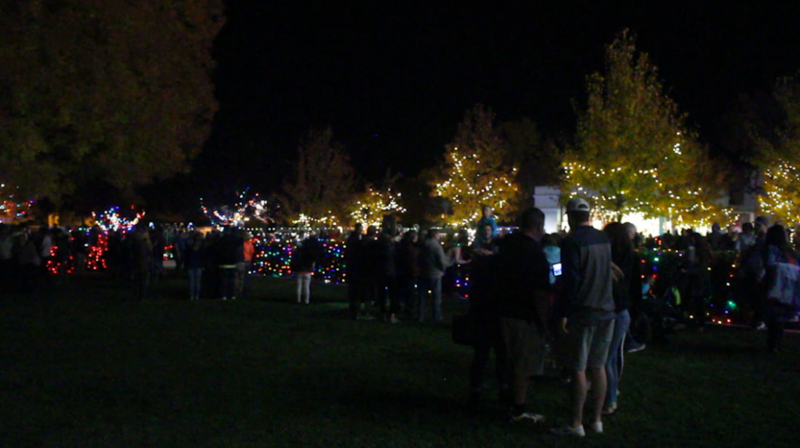 After Bangerter spoke, the choir and those in attendance joined together in singing “Silent Night” as the lights were turned on. 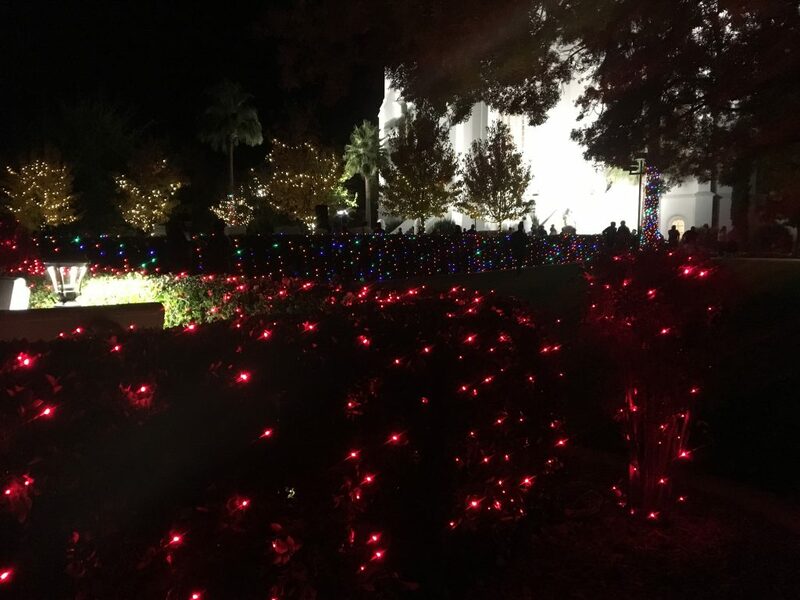 Decorating the extensive grounds for Christmas is a well-organized event that begins weeks before the ceremony, said Clay Brown. 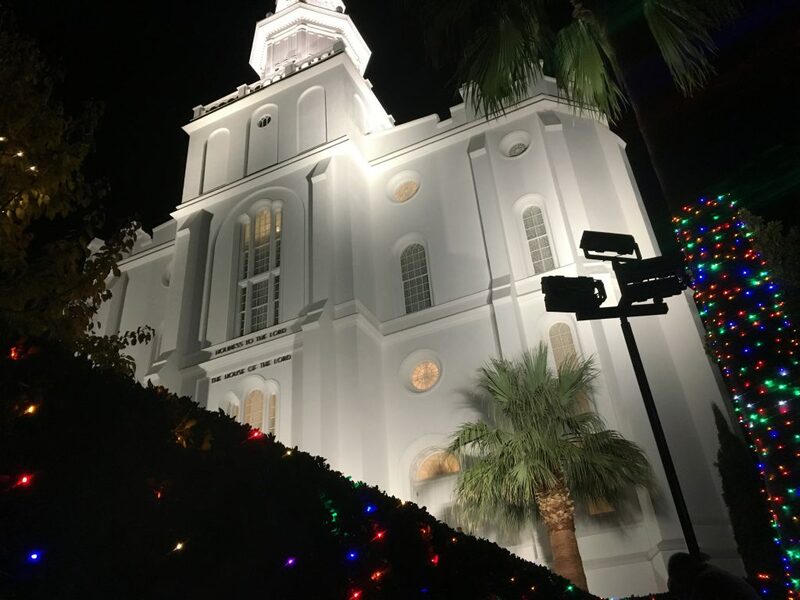 Brown and his wife have acted as the temple lighting coordinators for four years, he said. 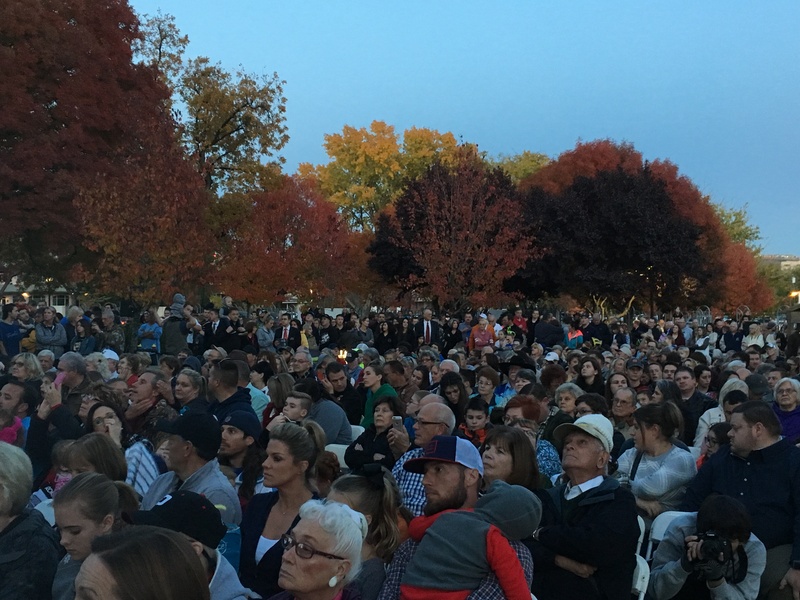 Brown said there are 30 LDS stakes – a stake is system of organizing members of the church, each stake is made up of about 5-12 wards or branches – in Washington County. 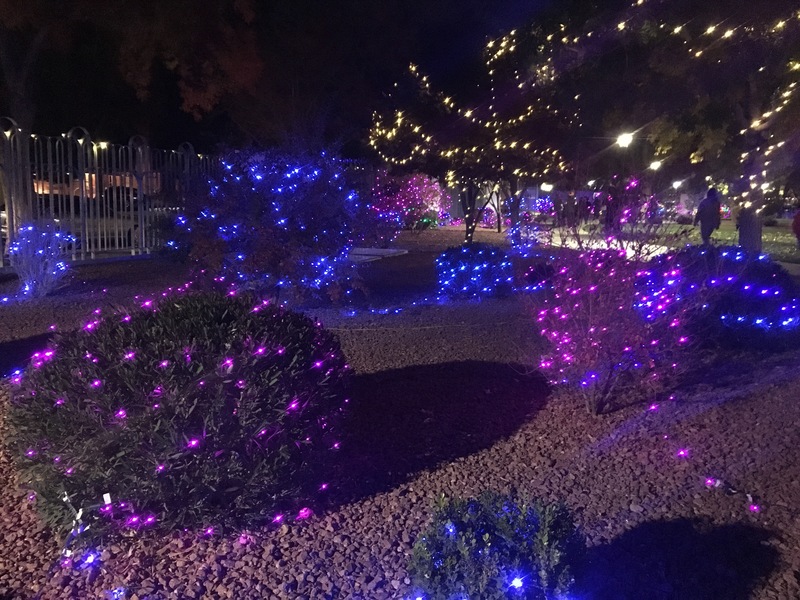 When it is time to hang the lights on the temple grounds each of the 30 stake presidents calls a person to organize a group of volunteers who help decorate the grounds. 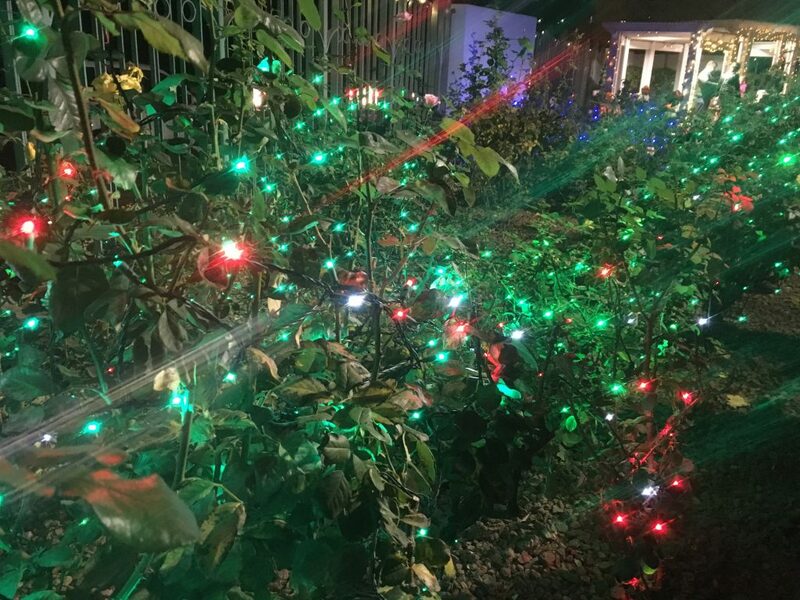 This year, decorating took place Nov. 11. 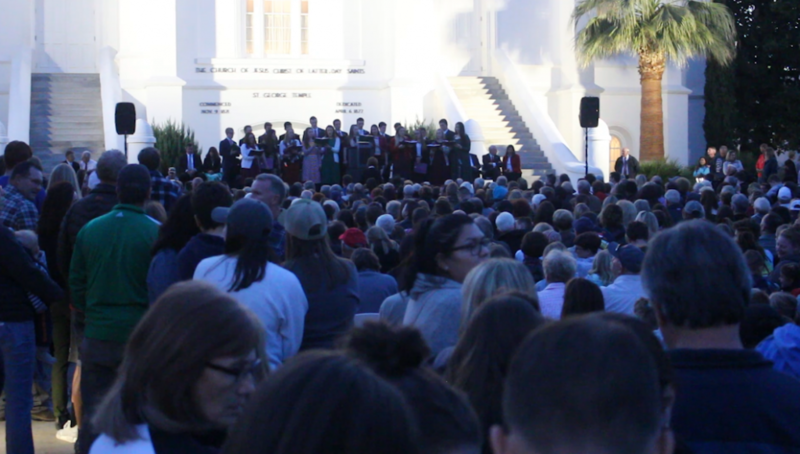 Each group of volunteers met at the temple at 8 a.m., Brown said, and each group was given a section. Decorating was complete in about 2-3 hours. In January, the same process will be used to take down all the lights. The lights at the St. George LDS temple can be viewed through December. In addition, special musical concerts will be given at the visitor’s center throughout the Christmas season. A list of performers can be found here. The St. George temple is located at 490 S. 300 East.